It has taken me til I hit a quarter of a century to finally manage to pack light! If you follow me on instagram I'm sure you know I got whisked away for 48 hours in the majestic Florence for my birthday. This obviously means hand luggage only, which means careful consideration and packing on the outfit side of things. I was brutal (for me anyway) and packed one bag and only 2 pairs of shoe. I usually bring a pair of heels with me but 99.99% of the time I never wear them as really my feet ache already from all the exploring!! 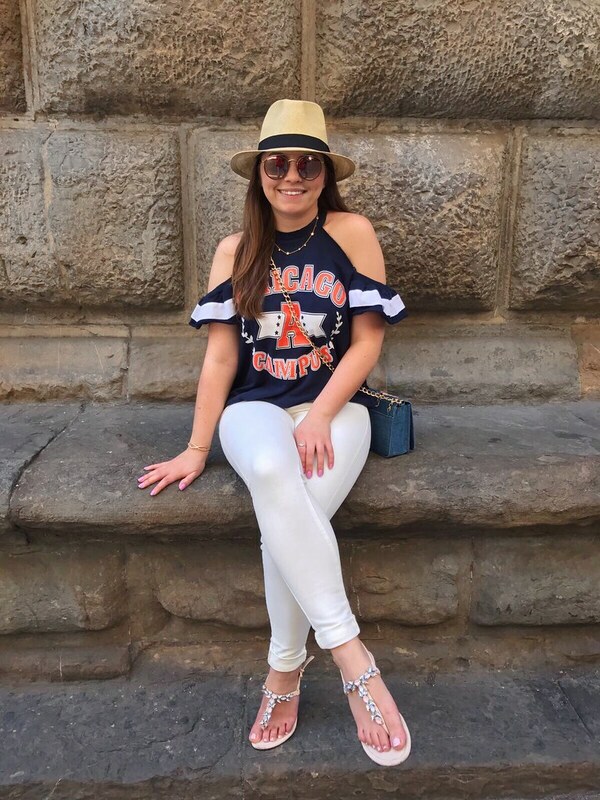 So here are my outfits from Florence, lightly packed and without blowing my own horn I loved all my outfits and felt so comfortable and chic in them all! I truly believe there are two types of travellers the 'casual traveller' who are in comfortable trousers/ loungewear and the 'travelling outfit' traveller and I am the latter. 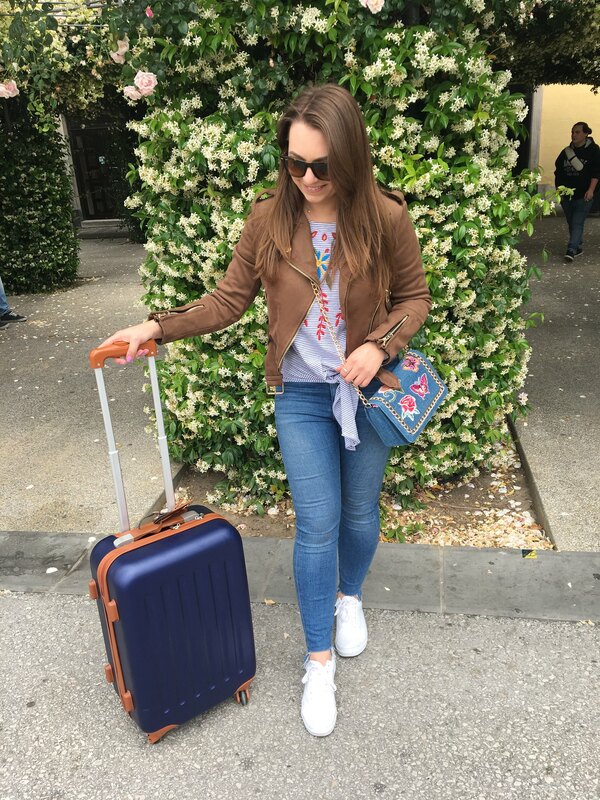 I love nothing more than wearing something new to travel in to start my holiday and this outfit was no exception and I promise matching the suitcase was a complete accident! The 'Italian Soccer Mom' look as my boyfriend described it! I also wore this to travel home in and paired my denim jacket with it for when I got cold! Jumper- Asos// Jeans- Levi// Sandals- Primark// Hat- random shop in Florence. I also treated myself as a pre birthday gift to these rose gold sunglasses from ray ban and I am so glad I did, they are not my normal style but I am totally in love with them! 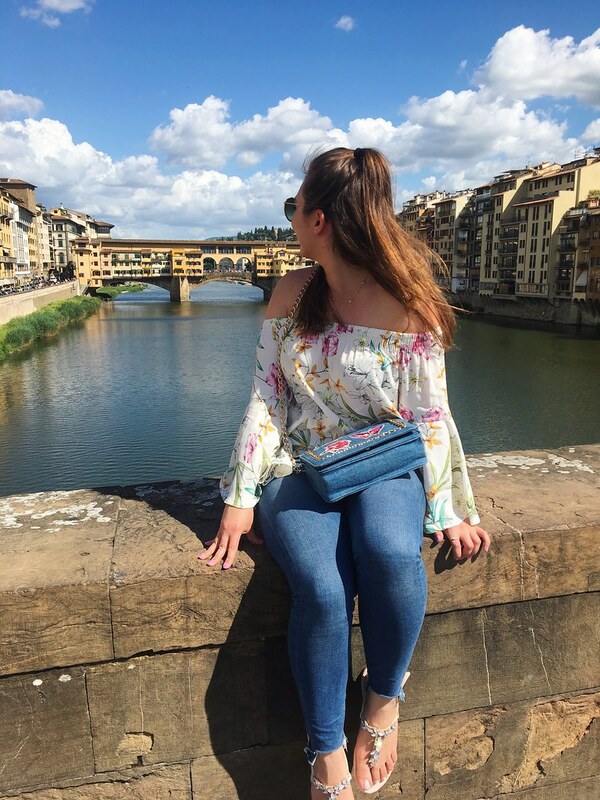 Have you been to Florence? What sort of traveller are you the Traveller outfit or a comfortable one?